The brainchild of Black Seeds front-man Barnaby Weir and Mikee Tucker of Loop Recordings ‘Fly My Pretties’ (for anyone who doesn’t already know) is a collaboration of contemporary musicians who assemble periodically to record live albums in various locations. Their shared objective is to exchange ideas, then perform and record songs written by different members of the band in front of live audiences. A central part of the ethos that governs FMP is the addition of new talent and perspectives with each album. 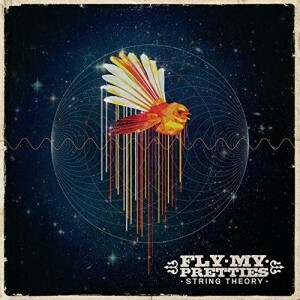 Sixth album, ‘String Theory,’ holds true to this, with the concept of each guest to explore their own existence through time and space with their own unique stories. It showcases 14 musicians and 18 new songs by Weir and returning members Iraia Whakamoe, James Coyle & Ryan Prebble from The Nudge, Jarney Murphy & Nigel Patterson from The Black Seeds, Mike Fabulous (Lord Echo), and Ria Hall; but also features newcomers to the FMP family: Bailey Wiley, Laughton Kora, Tiki Taane, A Girl Named Mo, Ills Winter, and Miloux. What’s different from previous versions of FMP is that in the past guest collaborators brought their own fully formed songs to the show. This time all new material was written in sessions a month out from the shows, and the 18 new songs were then refined and polished across four days at Auckland’s Lot23 to be performed four times in Auckland and five times in Wellington. The real talent of the endeavour lies in creating a cohesive whole from all the individual elements. The writing deadline aids this, in that choices had to be made in terms of a songs direction & elements. While the aim of performing these tracks soon in a live context adds a requirement of precision in the construction of the tracks, that will produce the most efficent arrangements capturing the essence of each songs story, but also leaving room for the flourishes and character that each individual performance brings out. With such a mix of strong male/female vocals & stories it’s hard to elevate some over others but tracks by Ills Winter, A girl named Mo, and Miloux are all highlights. 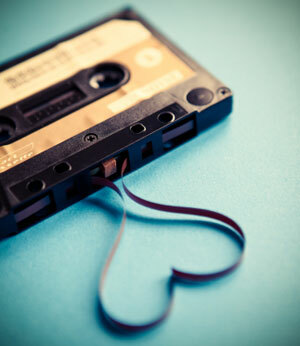 Loop records here. Facebook here. Website here. 13th Floor interview here. 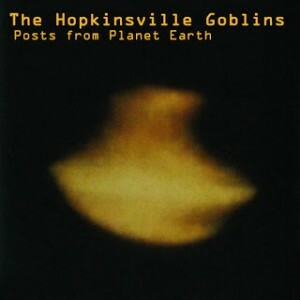 Posts from Planet Earth / The Hopkinsville Goblins. Electro-acoustic punky funk-rock studio only project, supposedly recorded using clapped out instruments, 2 track / 4 track tapes and outdated software in different garages, living rooms and basements around New Zealand. A weird mish-mash that has a murky Lo-Fi charm reminiscent of the Athens sound of early REM jams. Blog here. Elsewhere piece here. Spotify here. Signed to Sony at just 18, Brooke Fraser has proved to be one of Wellington’s most successful music exports. Her 2003 debut What To Do With Daylight made her a household name with hits like Better and the timeless Arithmetic. The title track to her 2007 follow-up Albertine celebrated her passion for Africa while the album gave us the massive singles Deciphering Me and Shadow Feet, & won an APRA Silver Scroll. Flags, released in 2010, opened the international floodgates with the worldwide smash Something In The Water, a Gold selling single in six countries. Last album Brutal Romantic recorded in the UK saw her develop her sound more in an electronic direction with the singles Kings & Queens and Magical Machine. Prefigured by IV, a collection of 4 unreleased tracks released earlier this year, ‘A-Sides’ brings together fourteen singles from Brooke’s fourteen-year career along with a brand new track ‘Therapy’ recorded with Joel Little in Los Angeles. Fraser has had a hand in many of Hillsong’s bigger hits, but this collection focuses on her shift from the early folk that had her tagged as a Christian singer-songwriter, to more fully fledged secular modern electro-pop artist. 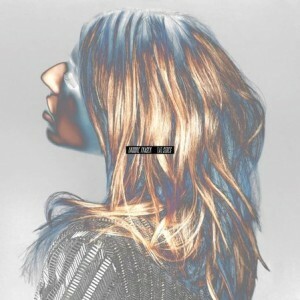 Plenty of great familiar tracks here that chart her growth as an artist. New single ‘Therapy’ hints at even further musical shifts. Website here. Facebook here. Stuck in New Zealand / The Eversons. 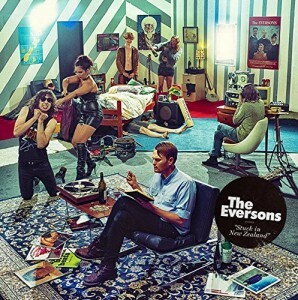 More catchy tunes from the now London based The Eversons. The retro teenage skinny-tie power pop comes off like a cleverer version of Weezer, or Rooney, backed up with a seemingly inexhaustible knowledge of musical styles and pop culture. Novelty single Weird Year is also great fun. A great one to rock out with for summer. Lil’ Chief records.Facebook here. Website here. Elsewhere review. 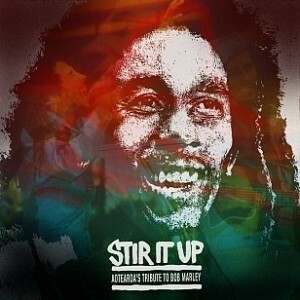 Stir it up : Aotearoa’s tribute to Bob Marley. Not strictly a ‘Wellington’ release but rather a New Zealand compilation, however 7 of its 15 tracks are from Wellington artists so it seems fitting to highlight it here. Universal Music commissioned New Zealand some artists to interpret songs from Bob Marley’s catalogue, and the result is ‘Stir It Up’ curated by Elsewhere’s Graham Reid. There’s no denying the influence of Reggae in New Zealand music & Bob Marley specifically. The message in his songs resonated heavily within the socio-political context of NZ in the 70s, and the timeless nature of his songs still inspires and influences, as demonstrated in this compilation as contemporary artists connect with the spirit & legacy of his music. Features Wellington artists Tomorrow People, Aaradhna, Trinity Roots, Thomas Oliver, Drax Project, David Grace (who fronted 80s Wellington reggae band ‘Dread, Beat & Blood’), and Hollie Smith. Hard to pick a fave among the Welly tracks but Trinity Roots & Thomas Oliver definitely bring it. Facebook page here. Elsewhere piece here. Website here.